Optimize your view: Feast your eyes on the thinnest borders to ever to grace all four sides of a monitor. 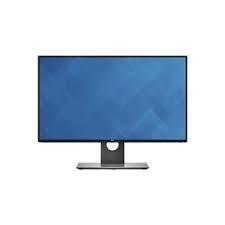 Dells InfinityEdge borders, which include the bezel width and inactive black space, create an almost seamless viewing experience. With 7.3mm top, left, and right sides and a bottom border measuring only 8.4mm. A more accurate display: Colours stay as precise as they can be at deltaE <2 to give you a more immersive display. And with our factory colour calibration report, youre guaranteed that every monitor has a 99% sRGB coverage at deltaE <2 ensuring every colour is as accurate as we claim.